I've always been in love with the art of tea. Once upon a time I lived in a faraway island at the bottom of the earth. This island, being of a rather British persuasion, was full tea drinkers. 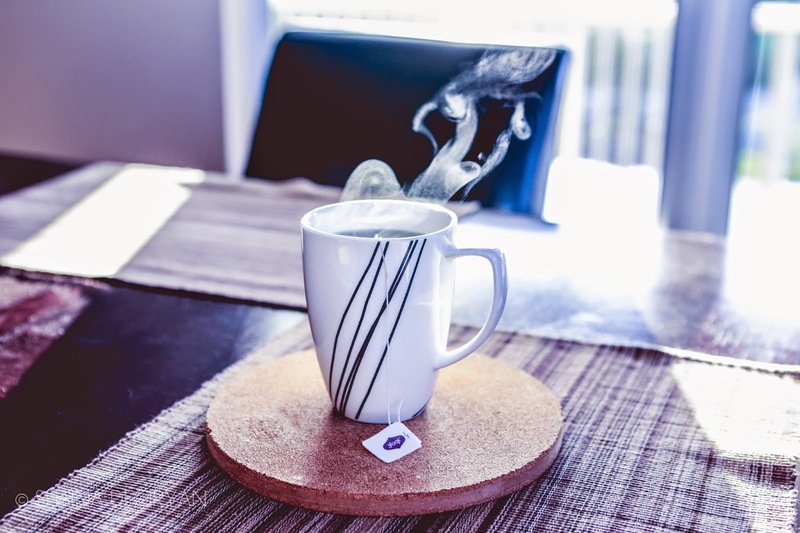 Before I knew it, I went from being an occasional tea drinker, to becoming a full blown 4-or-more-cups-of-piping-hot-bliss-a-day tea drinker. Perhaps it was the local culture sinking into my bones mixed just so with my disdain for coffee. Or the chilly, wet winters spent working outdoors , and working in two cozy bookshops that drew out my inner tea lover. Either way- each cup of tea became a lovely portal into the lives of the characters in my favorite books, and the artists, inventors, scientists, philosophers and intellectuals I admire. It's one of the most delicious habits I've ever picked up- and just the sort of habit I want to keep. Which is why I felt rather saddened when one day I woke up and realized my taste for tea was quite lost. Like a l e a f i n t h e w i n d .
Just like that, the magical delight of it began to taste too acidic. My own personal voyage into a thousand years of history turned back into a mundane cup full of brownish water. Instead I started my mornings with a 'healthy' bowl of organic granola with almond milk, a banana, and a cool, clear glass of water. At least I thought it was healthy. Why I traded Buttered Toast for Butter Tea. After many years of breakfasting on typical Western breakfasts- toast, granola, fruit, I found myself in the spring of 2014 feeling a bit odd about my health. I was in decent shape for a 28 year old- working out, running & practicing yoga regularly, but I always felt a bit short on energy, had frequent brain fog and I didn't want to settle for feeling like that. Spring is such an inspiring time- new leaves burst forth each day, and every planet is arraying herself in a beautiful new green sheath of leaves and blossoms. And this Spring I felt my whole perspective on nutrition went through a similarly green & triumphant blossoming! What caused my nutritional journey to begin in earnest? 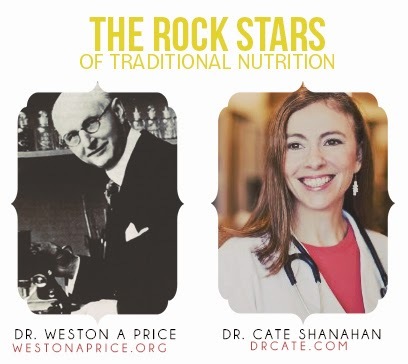 It all started thanks to two people I think of as Rock Stars of traditional nutrition- Dr. Weston A. Price & Dr. Cate Shanahan. Nutrition & Physical Degeneration by Dr. Weston A. Price and Deep Nutrition by Dr. Cate Shanahan both became gateways into understanding my health on a whole new level, and started me on this path of biohacking, experimenting & optimizing the foods I eat so I can live up to my epigenetic potential. How does this relate to my morning granola, let alone putting butter & oil in my tea? Back in the early 1900s, an American dentist named Dr. Price was scouting the world recording the indigenous, traditional foods eaten by native people in every continent. Why would a dentist like himself care about nutrition? Because he suspected that processed foods were changing our bodies epigenetically & our physiologically- and collected comprehensive data about these changes by comparing the shape of people's faces, teeth and dental arches on traditional diets vs processed foods. Dr. Cate Shanahan refined the research of Dr. Price and others to discover the 4 pillars of world cuisine- a basis for creating our diets that echoes the finest diets across the world, from the Maasai of East Africa, to traditional Japanese diets, French Cuisine and more (learn more about Deep Nutrition in our post about our Great Reads post!). What a eureka moment I had- realizing that butter, animal fats, and coconut oil are some of nature's finest nutritional offerings for our human bodies & minds, and realizing that my so-called environmentally ethical & healthy diet of lots of low-fat, lots of fruits, pescetarian (2 yrs), vegetarian (2 years) was sorely missing several of Dr. Shanahan's 4 pillars! I had been starting my day with oatmeal, granola & fruits- which are carbs & sugars that told my body to run on (and crave!) sugar all day. 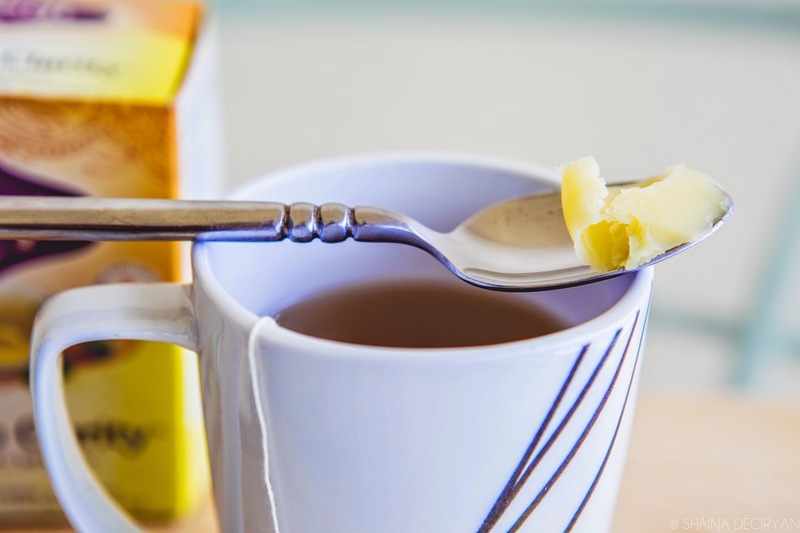 As of Spring 2014, I've been making up for lost time as part of this Experivida health journey by starting my day with some delicious tea + coconut oil + ghee (clarified butter). And goodness me- it's yummy! 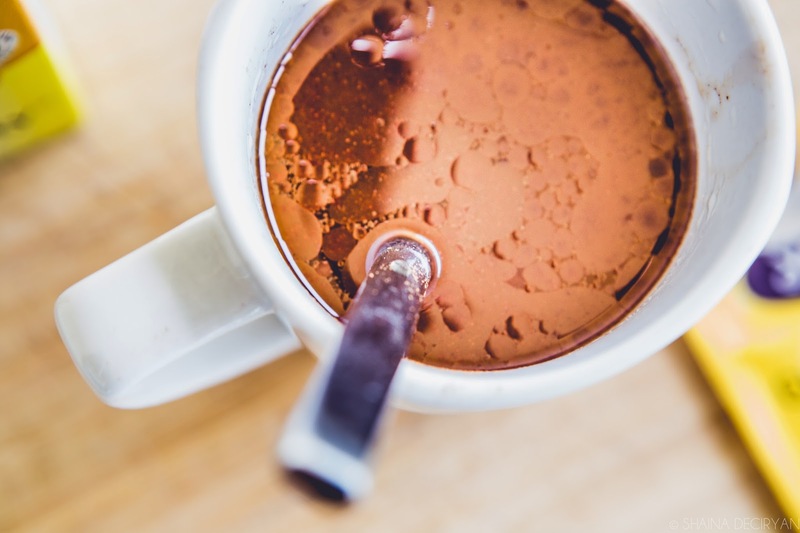 One of my current health idols Dave Asprey is wild about his bulletproof coffee with butter, and if you're a coffee drinker you should definitely check it out. But I've never been a coffee drinker, so instead I'm making a form of bulletproof tea. Here's what I do right now, and I hope to update this in a few months to see if I'm still this excited about this morning ritual or if I discover something new! 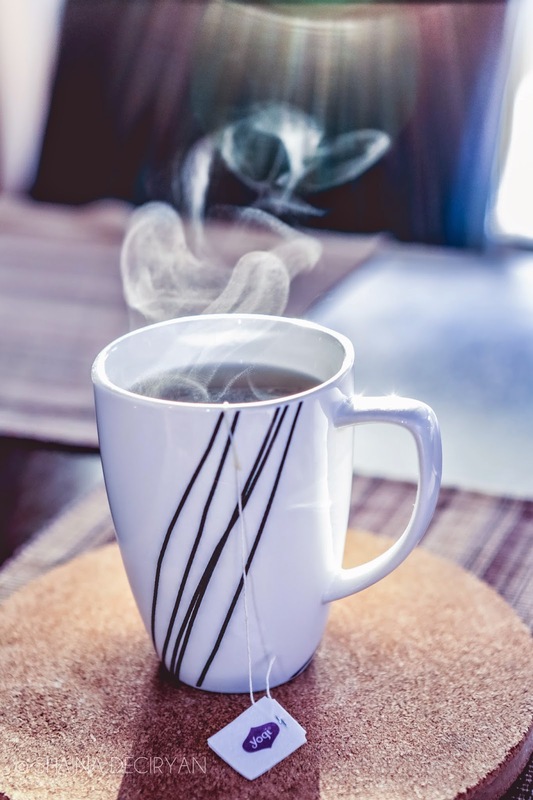 I'm writing this mostly to journal my experience, but if it can help inspire you to change your morning routine or you're already in love with butter tea and want to add a little oomph to your morning goodness! During the T'ang dynasty in ancient China, clarified butter (ghee) represented the ultimate development of the Buddha Spirit" (Source 1: History of Butter). This is based purely on my experience after drinking this tea most mornings from Feb 2014-June 2014. It's filling: It takes away my early morning stomach growls! Lately I've been adding a soft-boiled egg to my morning ritual, which holds me over 'til noon-2pm, when we eat a large lunch (recipes coming soon!) and gets my body to start running off the right kind of fats. 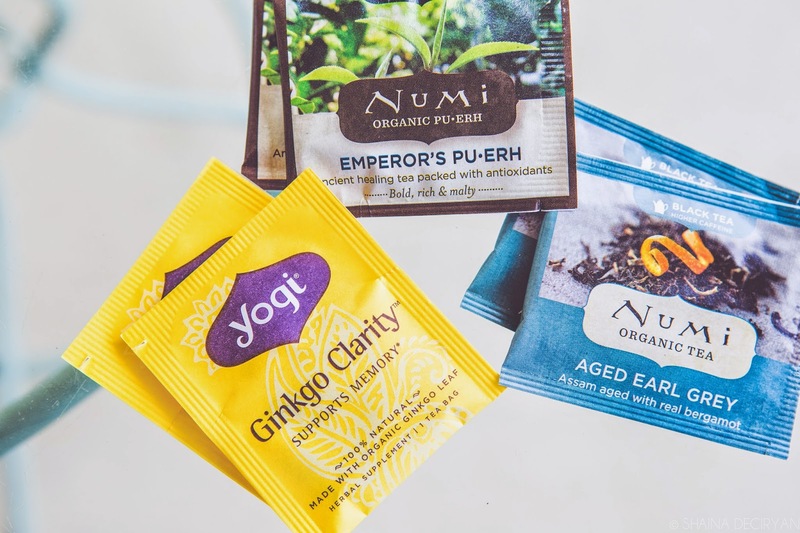 It tastes amazing: The sweet, rich & cinnamon-laden flavors add to the flavor of tea I pick, which is a great way to start the day without the sugars I used to eat in granola & fruits. This means I won't crave sugar all day, and instead my body will run on ketosis and burn fats more steadily. It's easy to make, and inexpensive. It takes about 6 minutes to make this tea, and although I haven't priced it out per cup, I suspect it's cheaper than preparing a full breakfast. It's great for skin & hair: I've noticed my skin feels fuller & firmer since I've started adding good fats back into my diet. As Dr. Cate says, beauty & health are absolutely related! Vitamin D - It's actually a hormone, and supports pretty much all your body systems. It's the rock star of the vitamin/hormone world, and helps regulate our mood, bone density- scientists are just discovering all the great benefits of it and it's being prescribed more and more by physicians. Conjugated Linoleic Acid- Builds muscle, boosts your immunity and anti-cancer. Selenium- important dietary mineral that protects antioxidants, supports thyroid function. 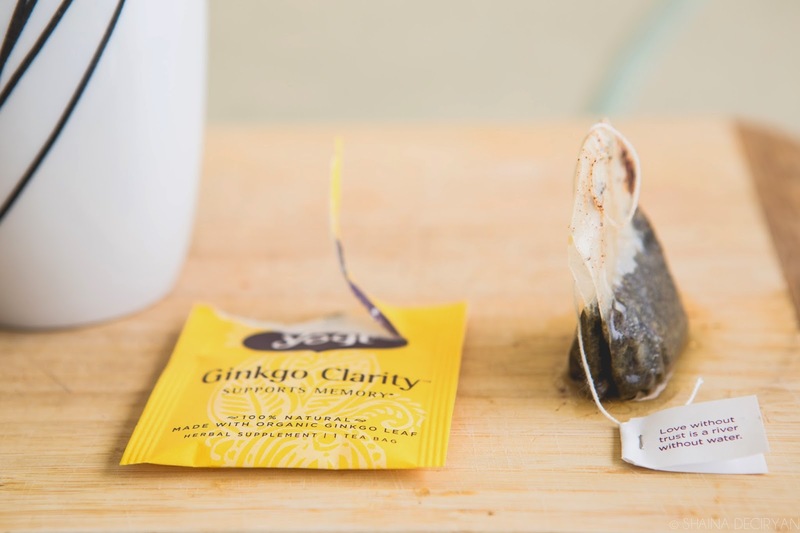 I especially love the flavors of the Yogi tea- and their Ginko Clarity has wonderful brain-loving properties for memory & focus that I've been enjoying lately. The Rare Tea Co: guide on making perfect tea. Step 4. Savor your tea & your morning! 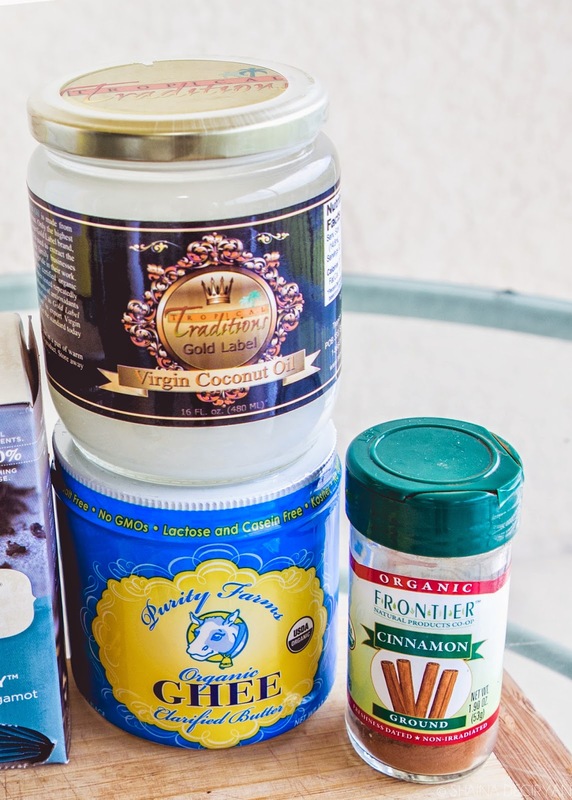 I hope you have a chance to try creating your Coconut Oil Ghee Cinnamon Tea! This is an experiment-in-progress, and I would love to know how adding more coconut oil & butter back into your diet is working for you. What's your favorite type of tea these days- I would love to add a few new flavors to my tea menagerie. 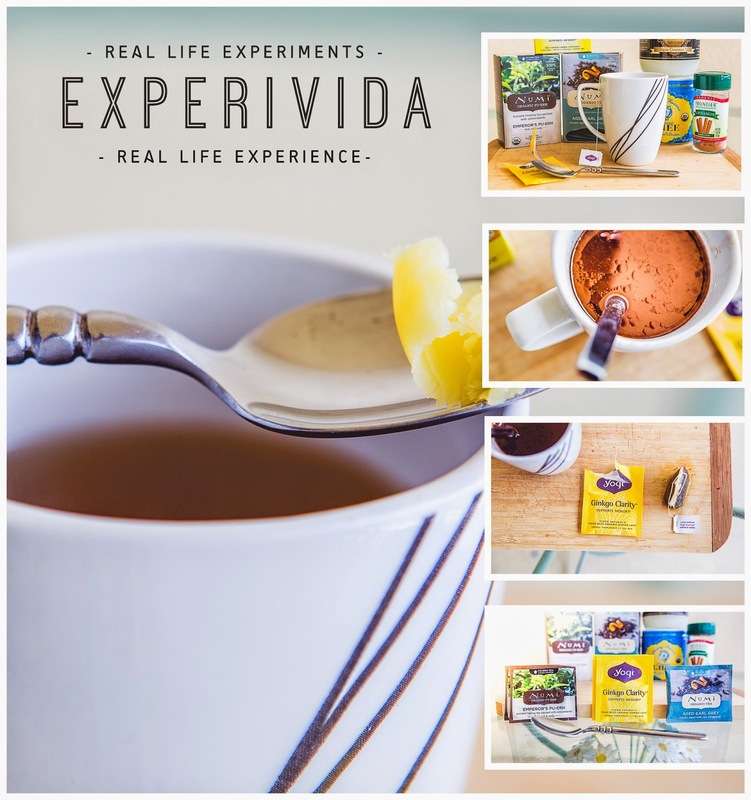 Here's to enjoying our delightful butter tea- our experiments, our experience & our experivida! This sounds like the perfect wake-up call in the morning! Count me in. Love this, I do the same with my morning Yerba Mate!